Oh my, oh my, Veronica Roth, please write faster! 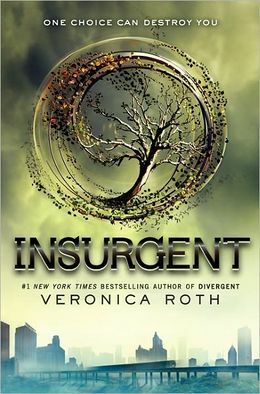 Insurgent, the sequel to Divergent, was just as riveting as I hoped, and waiting until October for all that I’m sure will be waiting in Allegiant is going to be torture. This book dives deeper into the fault lines of the characters, and, although I hate seeing the characters’ angst, it is always fascinating to stand outside a situation and see so clearly what the characters cannot see for themselves, just like the real world. This post is harder than most to write without spoilers for both this book and the last! Oh, I want to tell you what happens so badly, but I promised I wouldn’t….so I won’t. This is not an easy feat though. I just want you to know. I will tell you this is fairly typical of a middle book in a series, a little darker and not a lot of resolution going on. However, I like the story arcs for this series. Not only the over-arching story-line, but the story lines for the individual books as well. They’re well thought out, well put together and I have a sneaking suspicion that the devil will be in the details, as they say. Insurgent left me thinking deep thoughts also. I’m not going to be sharing, because…spoilers…I’m really afraid these deep dark thoughts will give away plot points, so….moving on. Now, definitely recommending this one. (I already have to…well to everyone I know that reads…like at all.) Have you read any good books lately? I’m feeling a craving coming on for some new fiction. Allegiant doesn’t come out until October 22, and it is only the end of June! That’s….that’s a lot of days. Got any good recommendations? 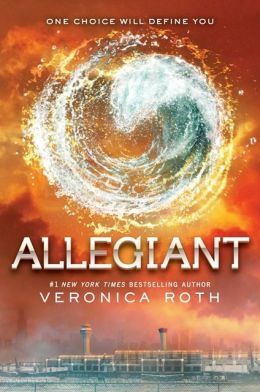 This entry was posted on Thursday, June 27th, 2013 at 2:28 pm	and tagged with Allegiant, Book Reviews, books, Divergent, fiction, Four, Insurgent, reading, Roth, Tris, Veronica Roth, Young-adult fiction You can follow any responses to this entry through the RSS 2.0 feed.